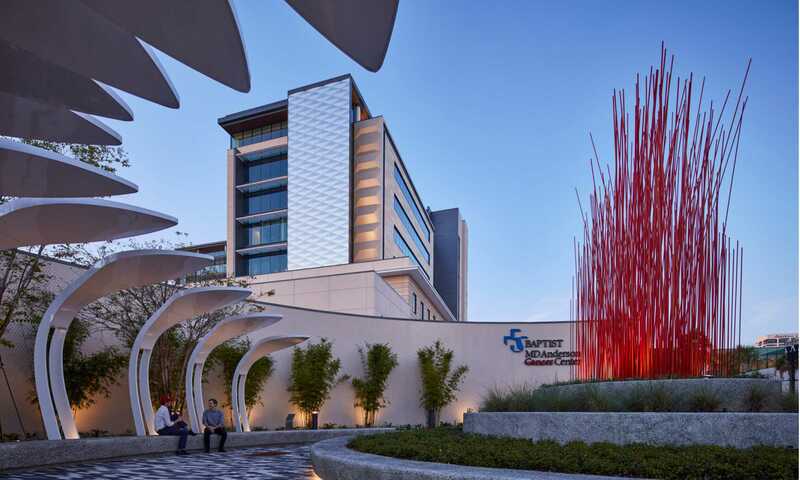 Baptist MD Anderson Cancer Center’s goal is to become the primary destination for cancer treatment in its region. 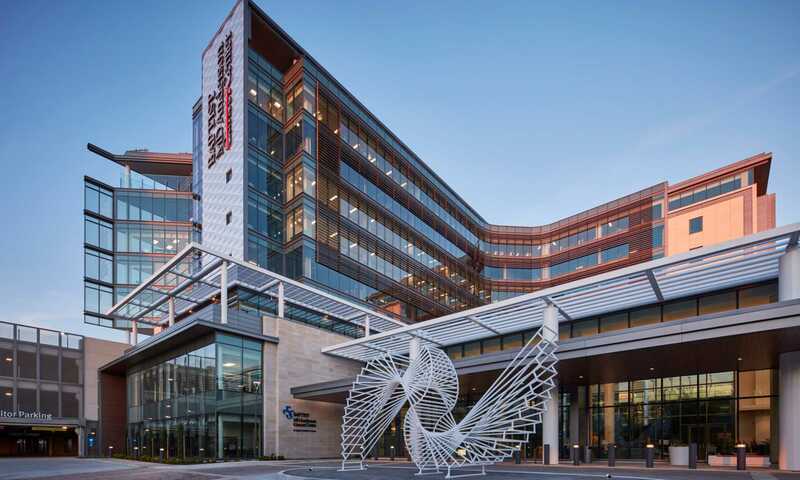 To realize this vision, Baptist MD Anderson challenged HKS and FreemanWhite, to design an iconic outpatient building on a tight urban site that would maximize staff performance and improve the patient experience. Offering a comprehensive range of options for adult cancer patients, the cancer center houses clinical oncology, radiology, imaging, infusion, research, physician offices and support services such as nutrition, care coordination and genetic counseling. The building also contains a Walgreen’s Retail Pharmacy, Life Spa for patients and an emotional support center. 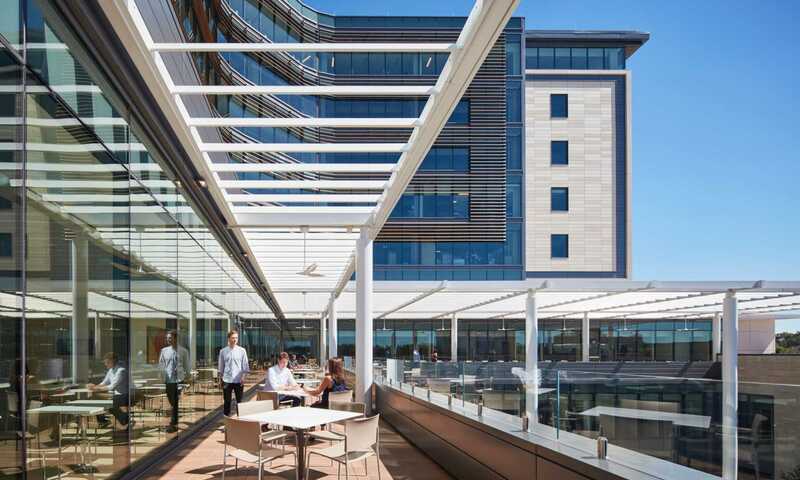 In the design of the cancer center, HKS designers, in association with FreemanWhite, strove for flexible, smart and innovative solutions throughout. Modular, prefabricated building materials allowed for shorter fabrication and installation times while maintaining a high level of quality control, ultimately leading to innovative design and reduced costs. Flexible clinic modules can be used for numerous specialties and adjusted to meet current patient population needs. They also increase staff familiarity and productivity, which in turn improves patient satisfaction. The facility wraps around a central landscaped courtyard that provides a peaceful and calming environment for patients and their families. It also brings light deep into the building at every floor. The interior features sophisticated and calming materials that exemplify the importance of healthy buildings and healthy living. Additionally, an extensive art collection supplements the interior and exterior design providing another level of interaction and wellness. Extensive passive solar shading, high performance glass, occupancy and light sensors in-conjunction with 100 percent LED lighting throughout the facility resulted in estimated energy savings of more than 15 percent. Site design also enabled the creation of two parks; a gift to the community that enabled interaction with the building and its landscape. Paving and sidewalks were configured to promote pedestrian activity and link to a planned bike trail. 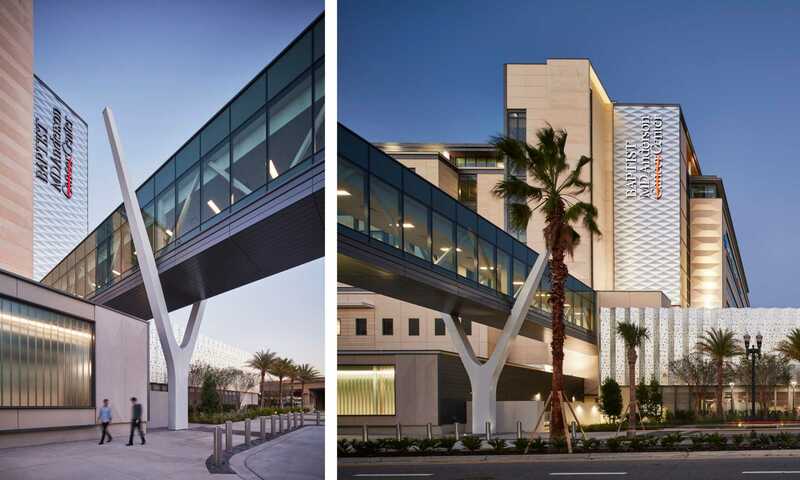 After the 100-year flood elevation was breached in 2017 by Hurricane Irma during construction, the design team responded by designing in flood barrier systems to enhance the capabilities of the facility to remain in operation and provide shelter in an emergency. 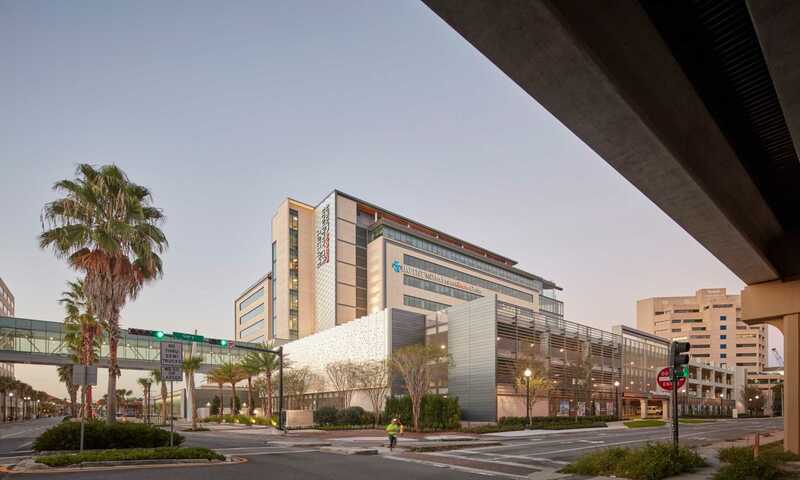 In addition, the Baptist campus is ideally located between the San Marco neighborhood and downtown Jacksonville and adjacent to the St. John’s River with Interstate 95 bisecting the campus. 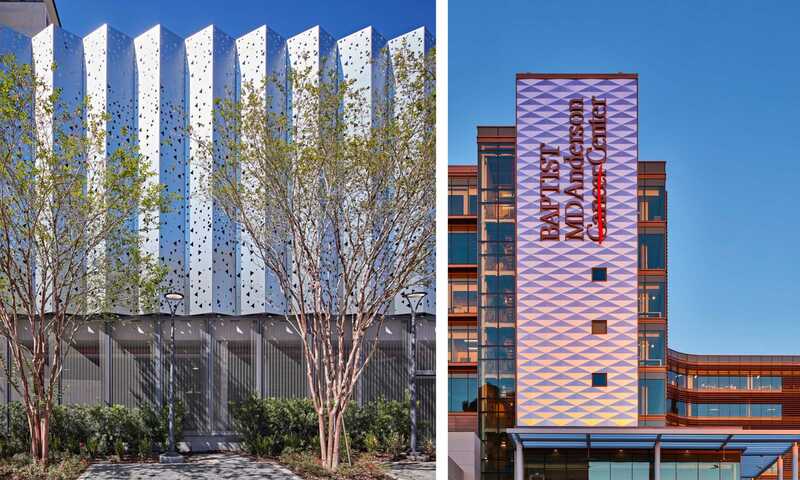 The design for the new cancer center should serve as a catalyst to connect all three parts of the city through its bold and site-sensitive design.